The medium frame, 840kg operating capacity Case SV185 vertical lift skid steer loader provides a reliable, economic and productive skidsteer. Built in the USA and powered with a 60hp ISM engine, the SV185 is designed around productivity, providing a higher rate of return on investment in less time than our competitors. 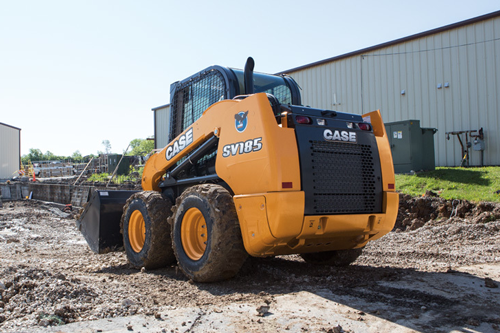 The Case SV185 skidsteer has the widest cab in the industry providing a comfortable working environment for the operator, outstanding fuel efficiency and a large fuel tank that makes all day running a possibility. 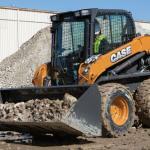 The cab on the Case SV185 Skidsteer is the largest in the industry with up to 25% more internal width! 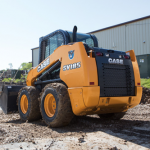 Combined with a suspension seat as standard, greater headroom, and more space between the control levers, the SV185 Skidsteer offers a comfortable and safe working environment. The SV185 also benefits from a large glazed surface with ultra-narrow wire side screens, the lowered threshold and thinner front pillars provide the best visibility in the market. With comfort comes productivity, and with the CASE patented ‘Ride Control’ this is evident. 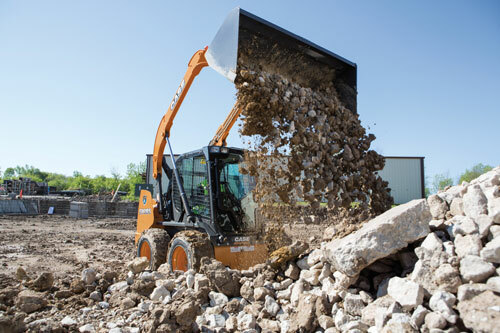 This system incorporates a shock absorber which reduces the loader arm bouncing at elevated speed for greater material retention. 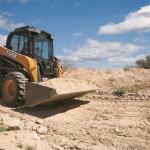 This feature will allow the SV185 to move more material, quicker, providing increased productivity. Standard Flow Package – The standard system operates the majority of available hydraulic attachments, and the proportional control provides a precise control. High Flow Package – Up to 55% more flow with this package, allowing operation of cold planers, rock wheels or large hammers. Package level 4 and 5 include a 14 pin front electric system to handle multiple movements of the attachment directly form the joysticks. Enhanced High Flow Package – This package (level 7) is designed for extreme applications such as large cold planers and mulchers. 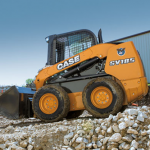 The CASE SV185 Skidsteer also comes with either the standard mechanical hand drive levers, mechanical foot drive pedals, or alternatively electro-hydraulic controls. 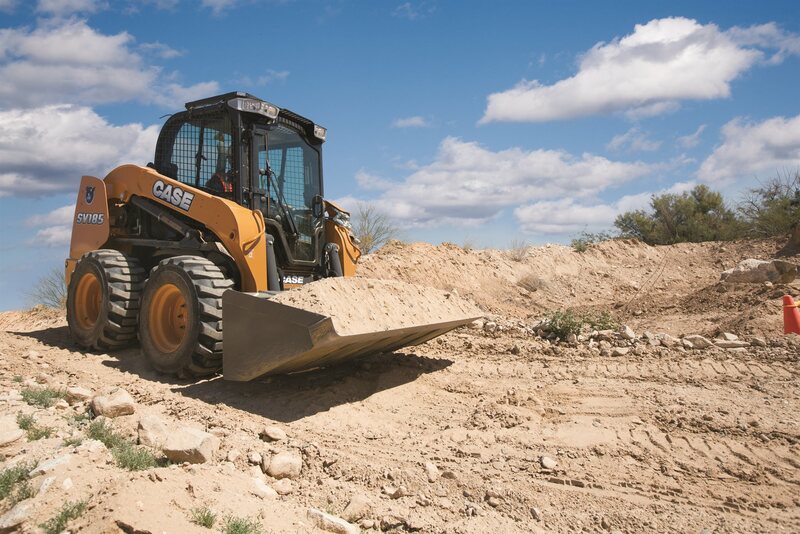 Daily service points are grouped together and remote mounted filters means it’s easy to keep CASE Skid Steer Loaders working to their maximum efficiency. 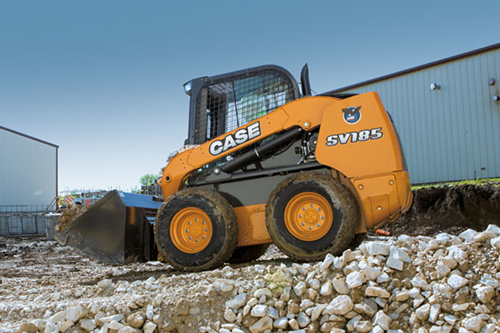 The Case SV185 is able to handle a broad range of attachments providing outstanding versatility to serve a broad range of industries. 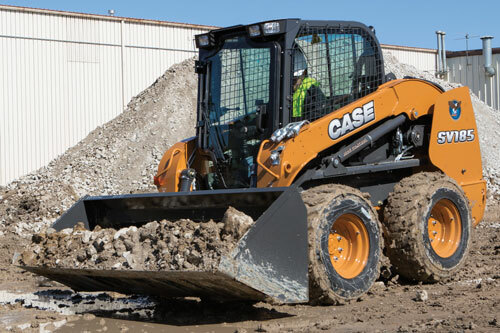 Fast attachment changeover is possible with the CASE Connect Under Pressure standard feature. Allowing the operator to connect tool hoses without a wrench. 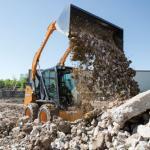 With the hydraulic coupler option, attachments can be changed rapidly without leaving the cab! Planers, Asphalt Float, Wheel Compactor, Rock Wheel, Hammer, Backhoe Bucket, Cement Mixer, Snow Blower, Snow Blade, Dozer Blade, Buckets, Broom Bucket, Auger, Farm Fork, Fork and Grapple, Pallet Fork and Bale Spike.